First Down Lounge plays via an online platform that can be accessed through NFL.com or Yahoo.com. 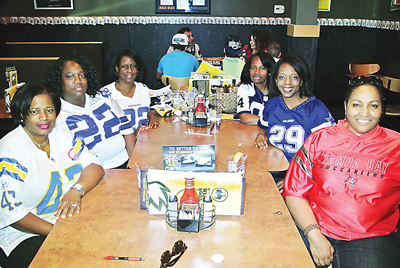 Although some people like to play fantasy football for money, Martin says that her group plays for “bragging rights” and the right to be treated to dinner for winning. For more information contact Karen Martin by email at kmmartin25@hotmail.com.